Laundry detergent is often an overlooked irritation for people with asthma and allergies. Many of the leading brands of laundry detergents have irritating fragrances and chemicals that can make allergies and asthma worse. 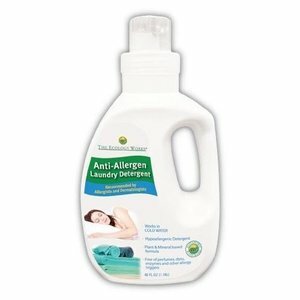 For many asthmatics the best laundry detergent to get is unscented and all natural laundry detergent; although, some people with minor asthma or allergies can tolerate some scents. It is important to look for a detergent with plant based ingredients instead of petroleum based ingredients. Some other laundry detergents to consider for asthmatics is highly efficient pods made for HE machines. However, the pods can be used in regular washing machines and be just as effective. The main difference when used in regular washing machines is the lack of suds. The pods, however, are a more concentrated form of laundry soap and may not be good for people with skin sensitivities. Another option is a laundry ball. Some of these can be used for up to 1500 washes. Although the effectiveness of using laundry balls has been questioned, many consumer reviews seem to be genuinely pleased with how they work. According to product descriptions for many laundry balls such as the Beron Eco-Friendly Laundry Ball, they contain micro beads with minerals that absorb stains as well as remove lime and iron build up in water. Adding vinegar or baking soda to the laundry can also be a natural way of cleaning clothes. White vinegar is effective as a fabric softener. It can also help rid clothing of dust mites and dust mite residue. There are several brands on hypoallergenic laundry soap. Some are powdered, some are liquid, and a very unique one is in nut form. Below are some options to consider. 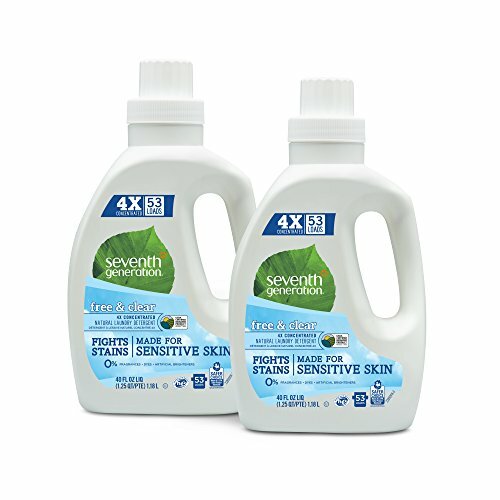 Seventh Generation is a pretty well known brand with a variety of cleaning products that can be bought in big-box stores such as Walmart or Target. It is USDA certified biobased product, meaning it is biodegradable. Good at fighting stains, this soap is also unscented and hypoallergenic. The Seventh Generation website is very thorough on explaining their products and even has a glossary of ingredients. This helps their consumers know what the ingredients are and what they do. Their laundry soap can be used in HE washers in cold or hot water. Seventh Generation is probably the best known product on this list. It is USDA certified and they are very open about what is included in their products. Seems to work well on stains and cloth diapers. Charlie’s Soap is an all natural eco-friendly powder. According to the makers, their goal is to make the best natural, biodegradable and allergen-free laundry soap. The powder is a concentrated form of laundry soap and only requires a tablespoon per load. It is scent-free, which is great for asthmatics with fragrance sensitivities. It is safe for HE washing machines and works on any fabric from jeans to delicates. 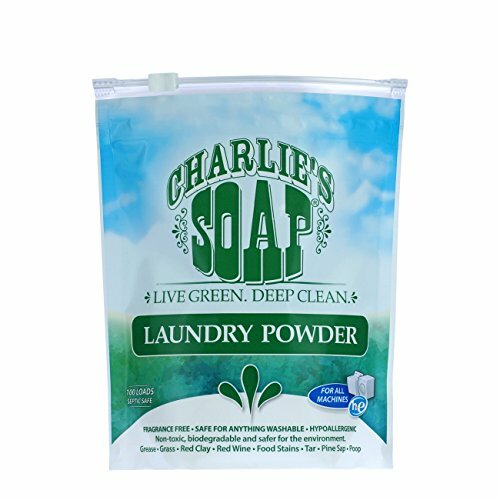 Charlie’s also makes pre-wash stain removing spray as well as different types of laundry powder that contain non-chlorine oxygen bleach and a laundry booster. There are some conflicting reviews on Charlie’s Soap. The majority of people seem to love it; however, those with kids complain that it does not clean cloth diapers or remove stains very well. The complaints with cloth diapers are based around ammonia build up from soiled diapers that the ingredients in Charlie’s does not seem to get rid of. From an allergy and asthma standpoint, Charlie’s seems to not cause any problems for people with allergies or asthma. Depending on it’s use, it may be great for certain people. 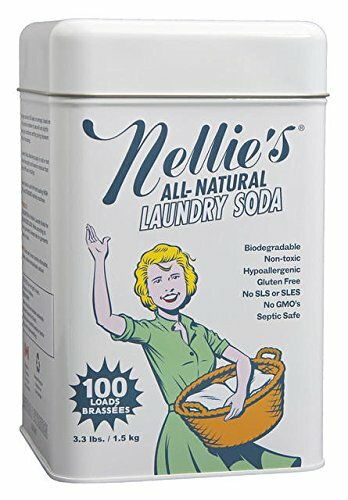 Nellie’s Laundry Soda is made from soda ash which is a naturally occurring sodium carbonate-bearing brine. With many different uses, soda ash can soften water and be used to clean the air. The water softening ability is a huge plus when used in household cleaners and laundry detergents. This laundry soda is hypoallergenic, biodegradable and made from organic materials. You can also use it in an HE washing machine. The soda can be used as effectively in hot and cold water. Nellie’s makes different types of laundry soap as well as stain removers. They offer a baby laundry soap as well, which, according to the website is made with a vegetable base while the regular soap uses a coconut base. It also has a sodium percarbonate for natural brightening. Nellie’s Laundry Soda has very similar reviews to Charlie’s. Many people are happy with it; however, it does not seem effective on cloth diapers. It is hypoallergenic and natural, which is great for those with allergies. Ecology Works is a little better known hypoallergenic laundry soap that is sold in bigger retail stores as well. It is fragrance free and biodegradable. Efficient at ridding clothing of dust mites and dust mite residue, it can also get rid of pet dander and smoke odors. It can be used in an HE machine and in cold or hot water. Hot water is recommended to rid clothing of allergens and dust mites better. Ecology Works makes many different cleaning products as well to help eliminate mold, mildew, dust mites and other allergens. This laundry soap comes in a 40 oz liquid bottle equalling 40 loads of laundry. Ecology Works is a well known brand and it claims to help with pet dander, dust mites, mold and mildew, which can greatly help those with allergies and asthma. The only problem seems to be that they are not very open about what ingredients are included in their products. Although the “detergent” is actually dried berries (or nuts as the makers call it), there are other ingredients present. The Eco Nuts website is very thorough on explaining ingredients and the science behind it. 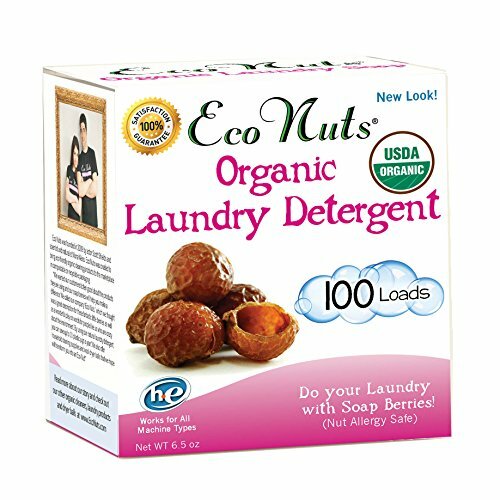 Eco Nuts are safe to use in an HE washing machine. The nuts are placed in a muslin bag before using in the washer to prevent nut pieces from clogging the machine or getting on clothes. Suggested use is four or five nuts per wash, and they can be used for up to 10 washes. A little unusual, Eco Nuts has good reviews. The main complaints are about the ability to remove stains. 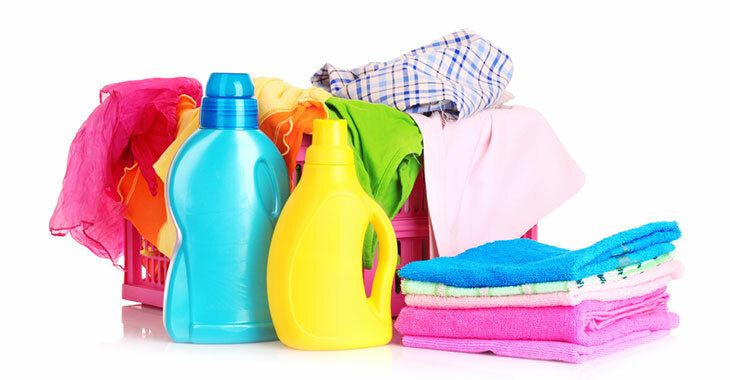 They seem to last longer than the recommended use, and they are not as expensive as other hypoallergenic detergents. All natural and organic ingredients are used, and the Eco Nuts website has a list of these ingredients with descriptions. While all of these products are great for allergies and asthma, some of them are not so great at their purpose: getting clothes clean. The best one seems to be Seventh Generation. It seems to get stains out better than the others; although, there are still negative reviews about it not removing stains as well as bigger name brands such as Tide and Gain. It is liquid soap and less likely to leave residue. Seventh Generation is open about their ingredients and products. It is a well known brand, and you don’t have to just order it on Amazon; it can be purchased at Walmart or Target. However, Eco Nuts is an intriguing type of laundry detergent alternative. The price is great, and many people have said that one bag has lasted them over a year. Those with allergies and asthma could use it easily without having a reaction. The problem with Eco Nuts is that you would need a stain fighter to use along with it, but white vinegar and baking soda works well as a natural stain fighter. So if you are looking for a unique alternative to powder or liquid laundry soap, Eco Nuts are a great choice.